can be hidden under the hour hand. This watch measures 44 mm in diameter. Water resistant to 300m. 1950's case and black sandwich dial. The 320 is the three day GMT. Features the in house Panerai P9001 automatic movement. It's in excellent condition and runs flawlessly. The in house P9001 automatic movement can be seen through the sapphire caseback. It also has a power reserve indicator. Panerai rubber strap and warranty papers stamped by AD. 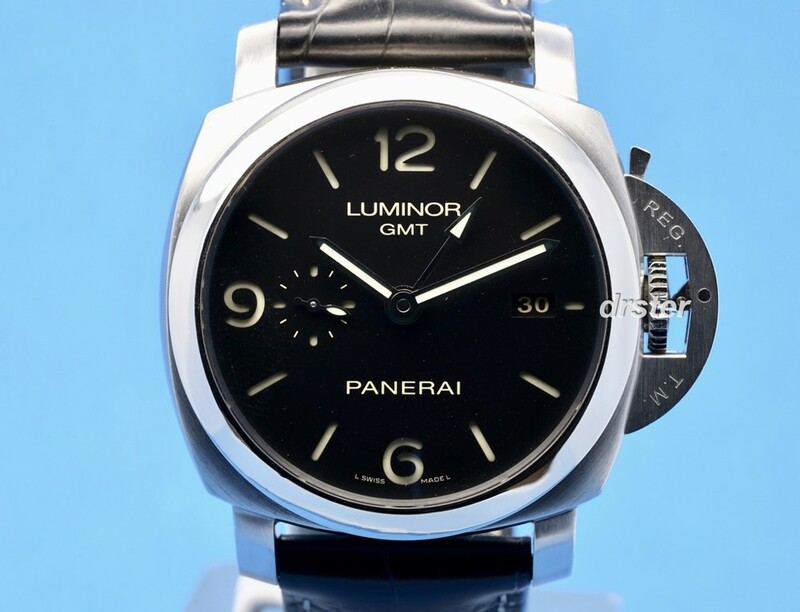 Covered under Panerai 12 month warranty. I have numerous references on TZ, Ebay. All as drster. NEW REDUCED PRICE: $4750.00. Includes US shipping.